← Compostable bread bags, it was bound to happen! Cold drink cups – lower prices, and end of summer discounts! Summer is slowly slipping away us so let’s not miss a chance with our compostable cold cups, for your event or food service establishment! Not only that, but due to talks with out manufacturers, we have also reduced our overall prices. So, you can ejoy lower priced cups. 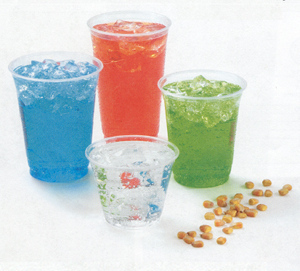 With your colorful, and some times exotic fruit juices, as well as bubbly cold drinks, use these cups that are eco-friendly too! Are all 10% off! (on top of the lower prices!! Take advantage of this until the end of September.